Rohit Shakya is a versatile music producer/singer-songwriter/session artist based in Kathmandu, Nepal. 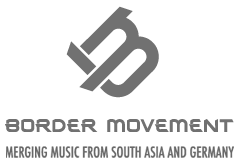 As a sound engineering graduate from SAE Institute, Thailand, his music production credits include Astha Tamang Maskey, JINDABAAD, Looza, Topi and many other mainstream as well as underground names. He is currently producing JINDABAAD’s upcoming EP and is also involved in a synth/sub-pop duo with Astha Tamang Maskey which is yet to be named. His session playing career is linked with names such as Sabin Rai,The Uglyz, The Shadows, Dibya Subba, and MT.8848.